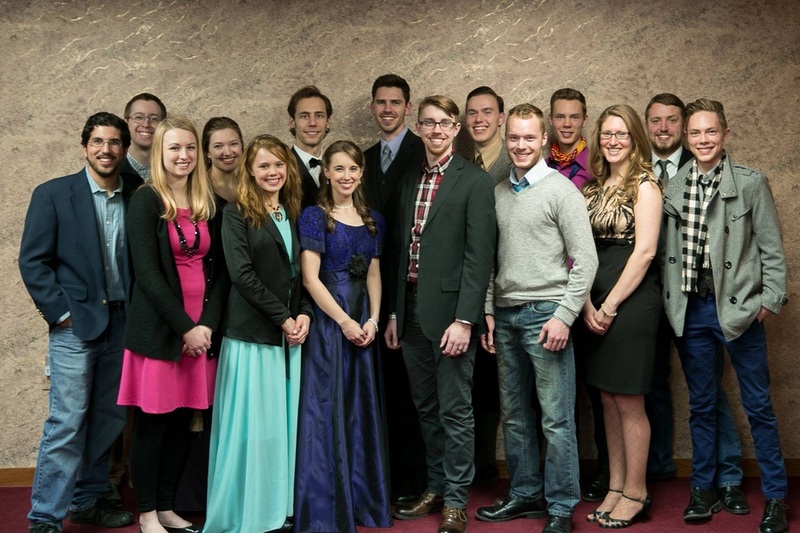 The 2016 Christian Worldview Festival took place in March. During the Guild portion, I taught on Building Your Actor Brand, Casting Your Low-Budget Film, and Auditions Unveiled! (w/director Brett Varvel). I also served on a filmmaker discussion panel during the festival. Keynote speakers included Bobby Downes of Christian Cinema, one of my mentors, George Escobar, of Advent Film Group, and producer Stephen Kendrick (my brother worked with him on War Room!). Films of "mine" that screened in 2016 are: Refuge (casting director), Badge Of Faith (script supervisor, voice role), The Screenwriters (casting director, script supervisor, voice role), and my directorial debut Changing Majors! 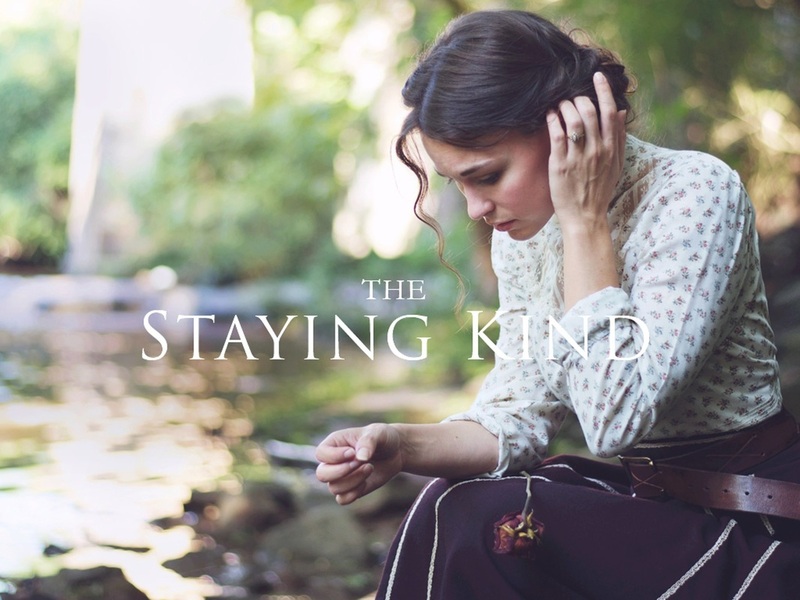 In November I collaborated with Rachel Hendrix (October Baby) on The Staying Kind, a short film she wrote, produced, and stars in about a Civil War widow. I served as the script supervisor and wardrobe supervisor. Directed by Isaac Deitz, this beautifully shot story was filmed on location in Dothan, AL. In October I was invited to be on the Celebrity Panel for the 2015 Kingdomwood Christian Film Festival in Atlanta, GA. I attended all four days, reuniting with a some old friends and making a slew of new ones! Sharon Wilharm, director of Providence, was there, as well as my friend Nathan Ashton, who gave a fascinating presentation about the post audio process for film. Films I saw and recommend include House Mother, Elegy, Forward Until Found, Roses, Wanted, Sarah's Friend, Catastasis, Adrenaline, and especially Caged No More - a fantastic feature raising awareness and informed action against human trafficking (coming to theaters 1/15/16). Changing Majors, my directorial debut, has been exclusively selected for the Christian Worldview Film Festival's 2016 Film Scoring Competition! Filmed in only 15 hours, this charming short film was made with the Film Acting students I taught in June at the 2015 MasterWorks Festival, and was shot and edited by Zack Lawrence (who directed me in In His Steps). Sound design was provided by Joseph Santoyo. The winning composer and final musical score will be announced and featured at the CWVFF award ceremony in March, 2016. I am so thrilled for my students that their hard work and developing talent will be showcased in this contest! Their diligence and enthusiasm is paying off. In July/August 2015 I script supervised a film called "Champion" in the lovely, though warm, state of GA. You can follow further production updates on Facebook and Twitter. CASTING work has really taken off this year - first with a short film directed by a friend of mine in MN, called Refuge, then with some associate work for Champion, and most recently as Casting Director for Disciples In The Moonlight, the next feature from award-winning actor/director Brett Varvel (of The War Within). Keep up with casting opportunities I post on my Facebook Page! Princess Cut cast and crew representing the film. 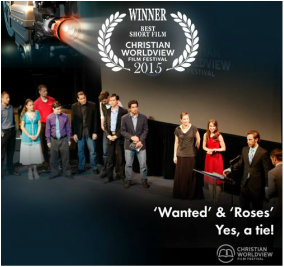 "POLYCARP," "PRINCESS CUT" & "WANTED" swept up awards at the 2015 Christian Worldview Film Festival! 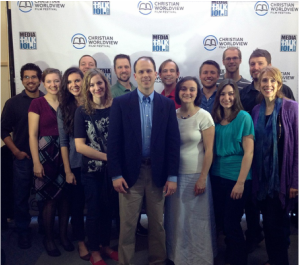 Hosted in March in San Antonio, TX, The Christian Worldview Film Festival (2015) is undoubtedly one of the highlights of my year! Polycarp swept up several awards - Best Feature, runner up for Best Gospel Presentation, Best Original Score (by Benjamin Botkin), and the coveted Audience Choice! Jurgen Beck's score for Love Covers All came in second after Polycarp's. Princess Cut was an honorable runner up for both Best Feature and Audience Choice. And Wanted and Roses tied for Best Short Film! Beyond The Mask received a cheering, standing ovation at it's special showcase screening during the festival! Nearly sixty of the cast and crew gathered on stage for a group photo afterward. Even more memorable than the awards won, however, were the myriads of friendships begun, reunited, and intersecting in the fertile atmosphere of God's grace and the humility and encouragement of His people. The workshops and keynote speakers from the guild were intensely practical, enlightening, convicting, and inspiring each person there to not only give our all for Christ (in this industry and beyond), but to do it all from a strong foundation of a real and vibrant saving relationship with our Creator God. At the Christian Worldview Film Festival this year I taught workshops on The Art of Auditioning and The Craft of Continuity. Audio downloads for all the workshops and keynote sessions are available online! To have both events happen on the same weekend, in the same city, was a rare treat. Almost like having our own private little festival! There was a wonderful turnout by both those involved in creating the films (from all over the country), and by the community. What a joy to see our hard work blessing audiences on those big screens! ﻿Wanted﻿ is now available for DVD purchase, and to rent or buy a digital download copy. 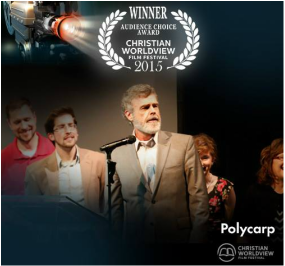 Polycarp will be on DVD starting May 5th, 2015, but is already available at a discounted price for pre-orders. In January 2015 I went up to MI to work as a Theater Captain Coordinator for Beyond The Mask, which is coming to movie theaters April 6th, 2015. I worked with a fabulous team of fellow coordinators from the production offices of BTM, and made some great memories there while getting this movie on it's way to make a record for number of venues for an on-demand release of a film in theaters. August-Sept 2014 I worked on the feature film Badge Of Faith (aka The Bryan Lawrence Story) as the script supervisor. I was also cast as the voice of the police dispatcher. It is a riveting true story of a local peace officer's dramatic injury and miraculous recovery, filmed on location in Roanoke, VA. In July 2014 I was brought on as the 1st Assistant Director for an Amish reenactment as part of the documentary film Breaking The Silence. Nearly all the re-enactors were actual former members of the Amish community, who came from all around the country to portray a single community and both honor their heritage as well as explain the reasons why they had moved on to other expressions of their faith in Christ. I enjoyed hearing their stories! 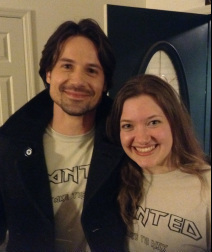 With Andrew Cheney on "Wanted"
June brought me a surprise - Catching Faith (formerly The Elijah Project) movie! This was my first time serving in the camera department. Our 1st AC was a good teacher, and I learned a lot. Even stuck a few tips under my hat for when I'm back in front of the camera. ;) The community support was encouraging to see! Local news even picked up the story (look for me in the purple shirt): http://www.wqow.com/story/25841401/2014/06/22/filming-for-the-elijah-project-continues-through-the-week. Beginning of April I traveled to Cincinnati, Ohio, where I served as the script supervisor for a short film there called Wanted, about a foster kid about to age out of the system who finds hope in an unlikely place. Starring Rusty Martin Jr. (Courageous, Polycarp), Andrew Cheney (Seasons of Gray, Beyond the Mask), Stacey Bradshaw (Touched By Grace, The Wednesday Morning Breakfast Club), and Eliya Hurt (Polycarp), and working with a stellar crew - it was a fabulous experience all around. 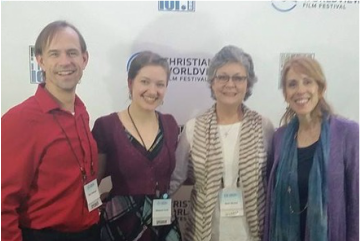 March 2014 brought me to Texas, where I taught casting/auditioning workshops at the new Christian Worldview Film Festival in San Antonio. There was a fantastic turn out of interested attendees, and it was wonderful to reconnect with so many respected professional friends I've worked with over the last few years. In His Steps and Christmas Grace were also feature film finalists during the festival, so I was able to talk with many viewers about the impact the stories had on their hearts and lives. Loved, loved, loved it! 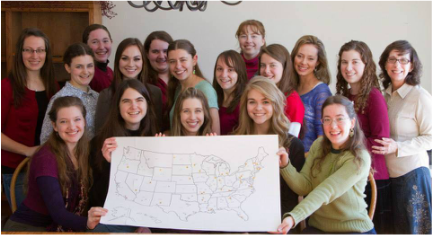 In 2013 I crossed state lines ninety times while traveling over 15,000 miles to work on five different feature films (Surrender, Polycarp, In His Steps, Love Covers All, Princess Cut), stage manage for the MasterWorks theatre program, and make an appearance at the Christmas Grace premiere! Script supervising on set of "Princess Cut"